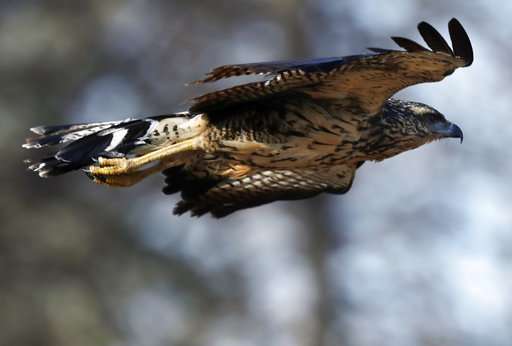 The great black hawk has been a source of fascination in Maine since it was first spotted by Biddeford bird fans in August, and it popped up in Portland's Deering Oaks Park on Thursday. 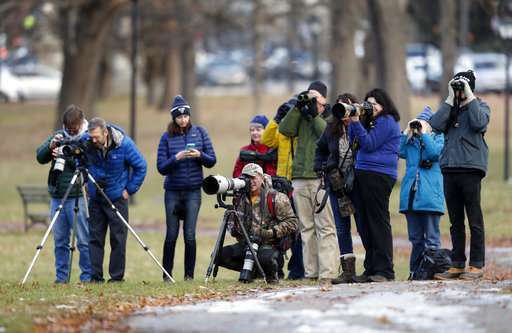 The bird drew hundreds of birders with binoculars and cameras to the park, the largest public space in the city, on Friday morning. Audubon naturalist Doug Hitchcox was in the crowd and said the young bird appeared to be in good health and in the process of molting. Maine residents sometimes see rare birds, he said, but "this is one for the record books," and it made for a moment they wouldn't forget. 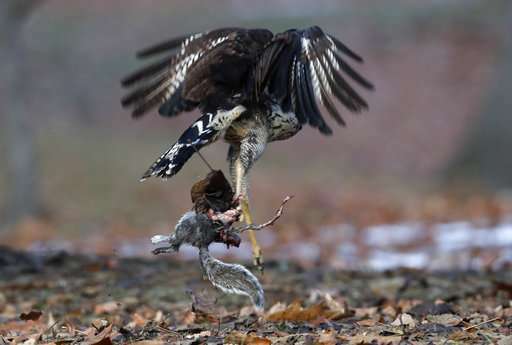 "We've been watching it tear apart a squirrel for the last half hour or so," said Hitchcox in the early afternoon, as he monitored the bird and advised admirers not to get too close to it. 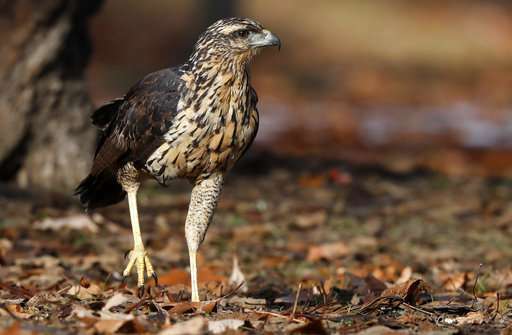 Great black hawks typically live from Mexico to Argentina, and exactly how this individual made it to Maine is a bit of a mystery, Hitchcox said. It hadn't been seen since Oct. 30, and is believed to be the same bird that was spotted in South Padre Island, Texas, months ago. Audubon has called it potentially the first record of the species in the U.S. The bird got into a scrap with a red-tailed hawk, a common Maine species, and delighted the crowd by flying overhead near a school. One member of the assembled birding throng was Derek Lovitch, author of "How to Be a Better Birder" and a Freeport-based birding tour guide. All the interest in the bird, he said, made for a great moment for Maine's nature lovers. "Look at all these school groups," Lovitch said. "Somebody here might have never even thought about a bird before, and now they might be the next great conservationist." 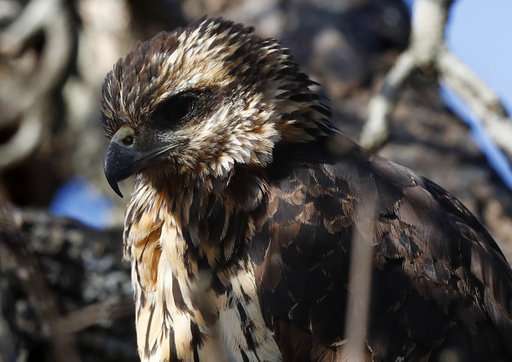 Hawk found with nail in head recovering in Calif.